DJI is a name that we are all familiar with when it comes to drones, and the intelligent Phantom 4 drone did make waves earlier this year when it was released. This time around, it looks like there is another reason for fanfare with DJI’s latest Mavic Pro drone which is highly portable and yet does not skimp on its ability or functions, delivering picture perfect stills and great looking videos while it zips around in the air. The compact body of Mavic Pro does not mean it is a pushover. No sir, the Mavic Pro drone will arrive with a stabilized 4K camera as well as a visual navigation system, accompanied by a 4.3 mile (7 km) range and 27 minute flight time on a full battery charge. This certainly marks a fair number of firsts when it comes to compact drones. There will be four folding arms as well as propellers which can be tucked neatly away against its streamlined body, and the powerful long range remote controller will keep it under your control. Alternatively, you can also make use of your smartphone within a shorter range, and the entire system can be set up and airborne in under a minute. 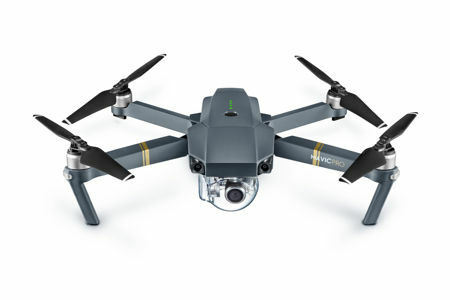 Carrying an autofocus camera which boasts of a minimum focusing distance of just 19 in (0.5 m) and the ability to flip 90 degrees to portrait mode for vertical selfies and video, the Mavic Pro does 4K video at 30fps and full 1080p HD at 96fps. It will also be able to capture 12MP stills in Adobe DNG RAW format. Expect the Mavic Pro drone to retail for $749 sans its remote controller, and $999 with the remote controller. Any takers?